Action Products founder Dr. McElroy has been part of the pressure injury prevention initiative from the get-go. In fact, when McElroy introduced AKTON® polymer to the marketplace, it spurred a worldwide revolution in the pressure management industry. The key element in our company’s products continues to be that exclusive material, which looks and feels like a gel, but is more body friendly. Repairable, AKTON® does not leak, flow or bottom out. “Wheelchairs are the most common assistive or mobility devices for enhancing mobility with dignity,” the World Health Organization asserts, and the organization’s guidelines specify common problems reduced by a wheelchair with proper postural support and a proper cushion (p.24). 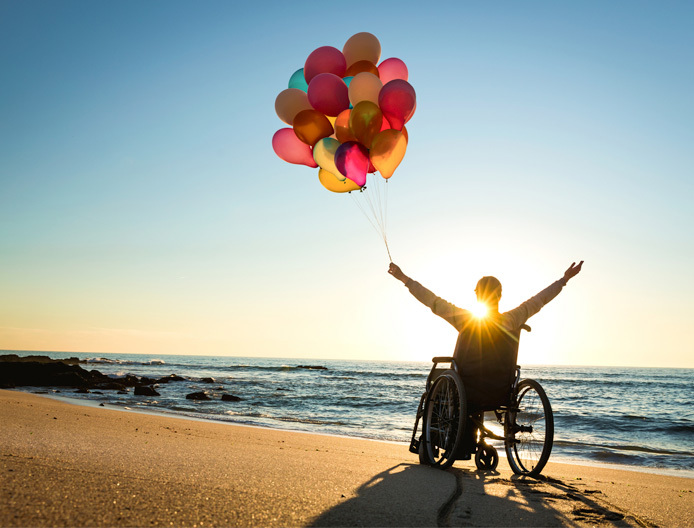 Properly sized wheelchairs with appropriate postural support and cushioning can actually prevent premature death in people with spinal cord injuries and result in patients’ reduced dependence upon others. Proper postural support is, in fact, enhanced with Action products’ Twister® wheelchair back cushion, which adapts to the shape of each user. That is particularly important, WHO explains, because wheelchair users should be using their armrests for only temporary postural support, keeping the user’s arms free for propelling (p.61). It’s not hard to conclude: Pressure injury prevention is vital in the home health care setting!